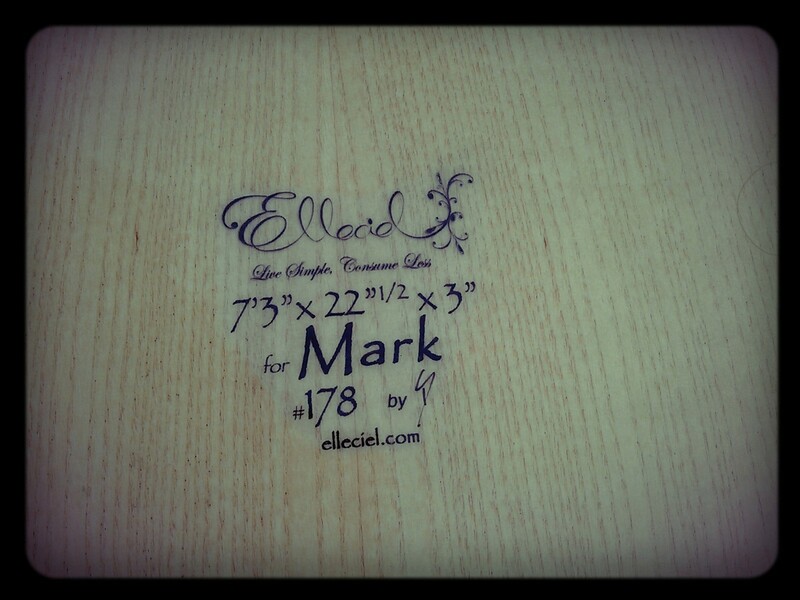 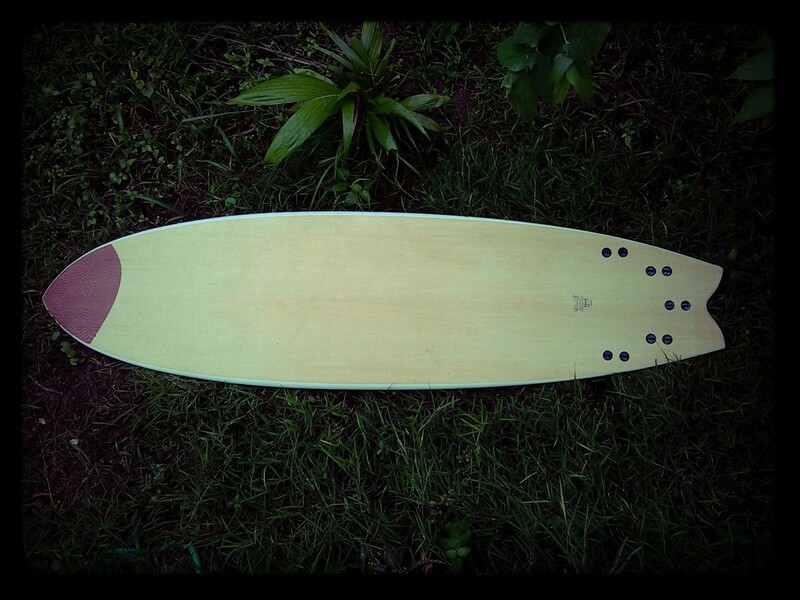 Here is a second board for Mark who wanted something a bit smaller than his Fishosaur (#96). 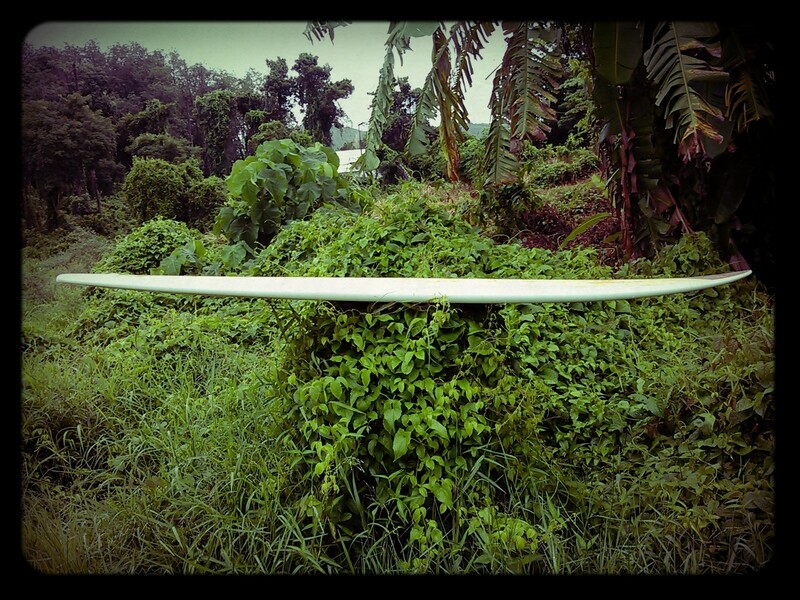 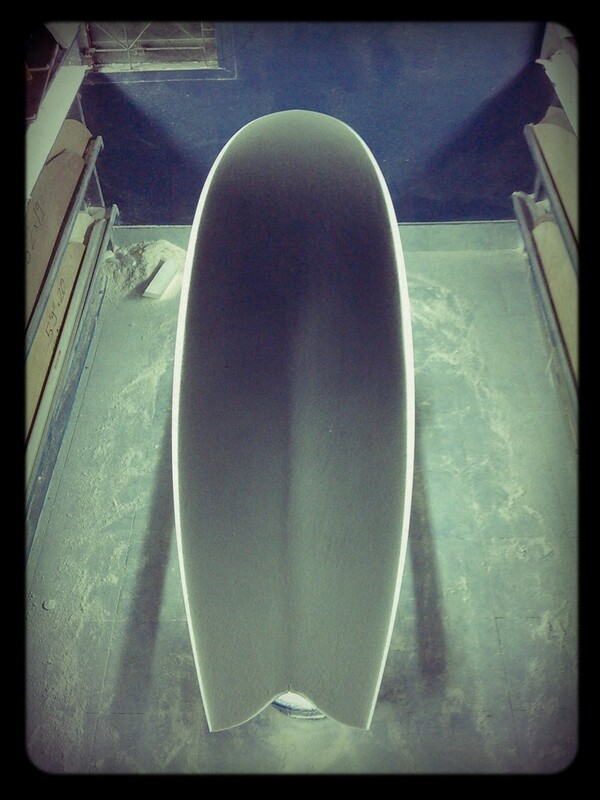 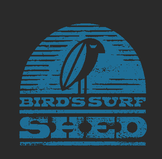 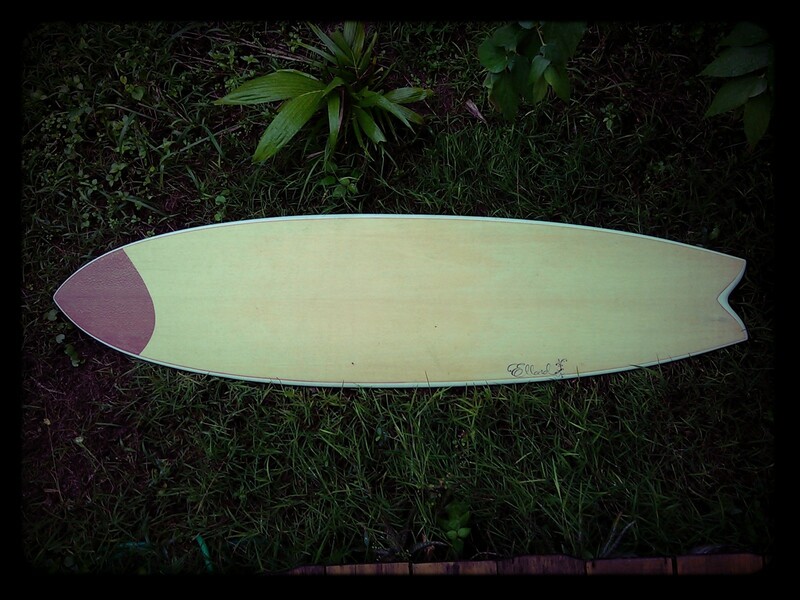 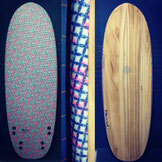 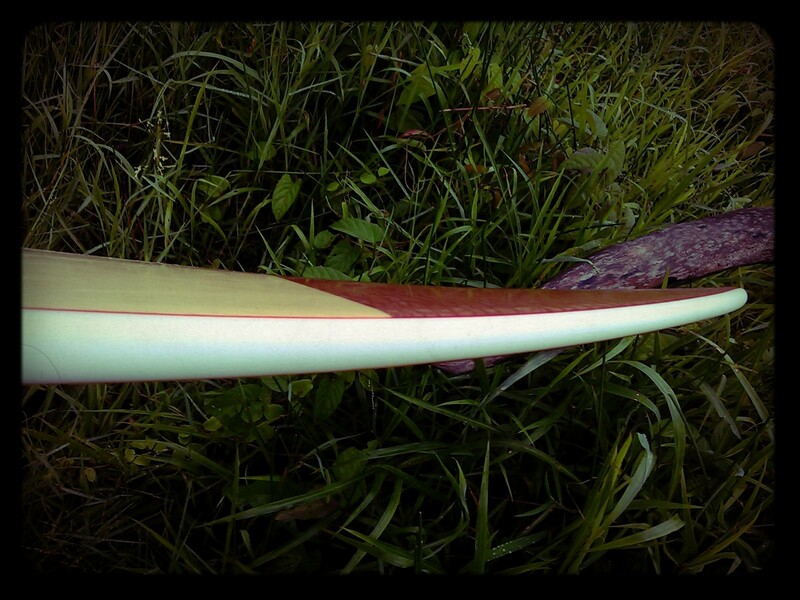 So we went for a 7'3" a touch narrower, with thinner rails but similar bottom contour. 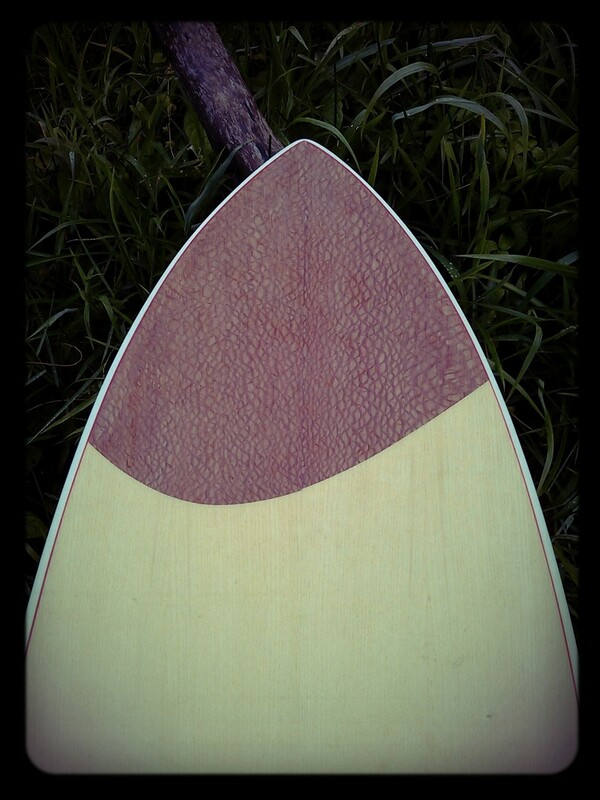 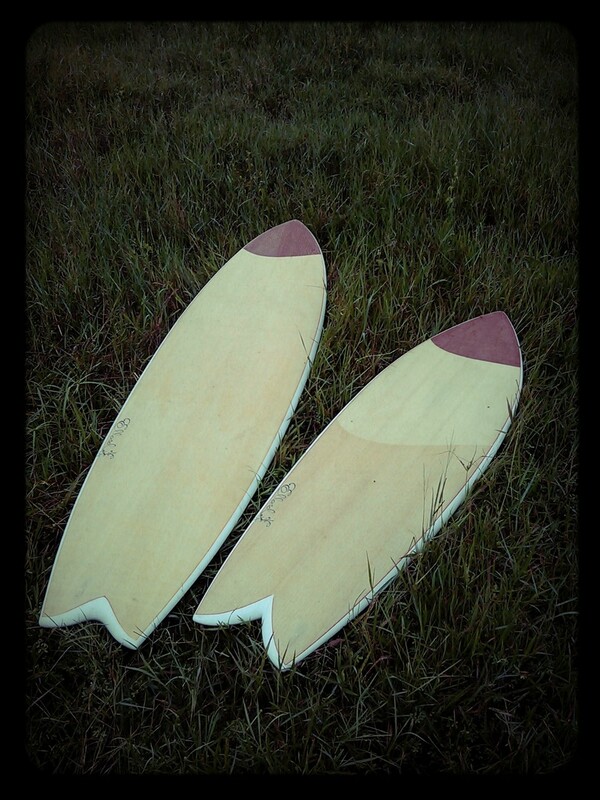 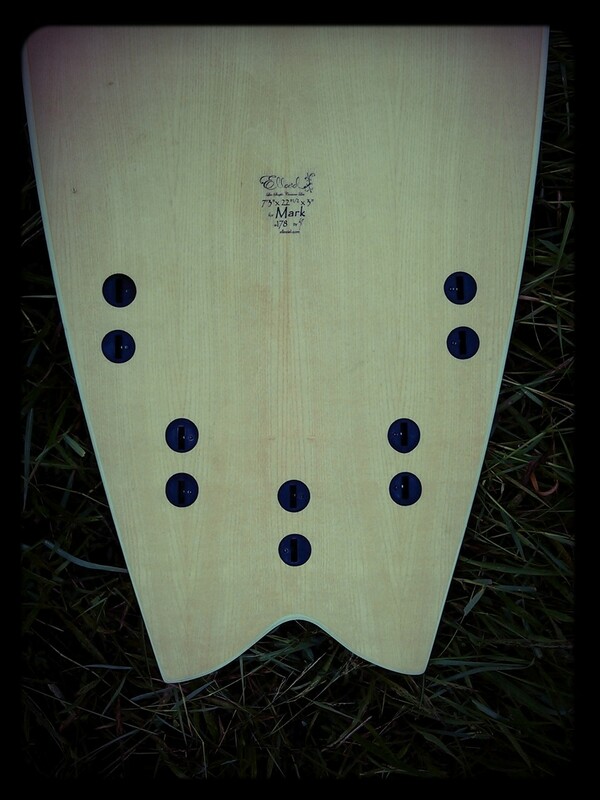 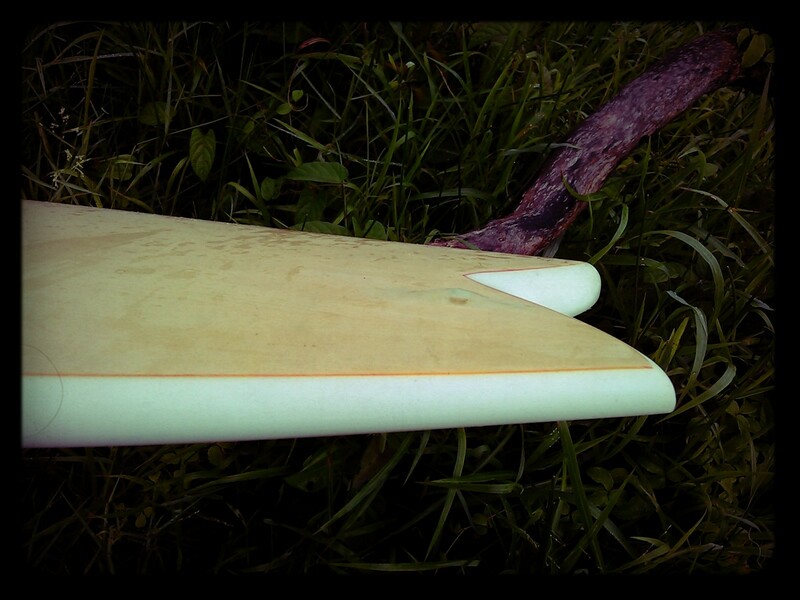 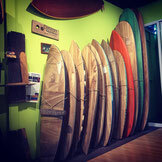 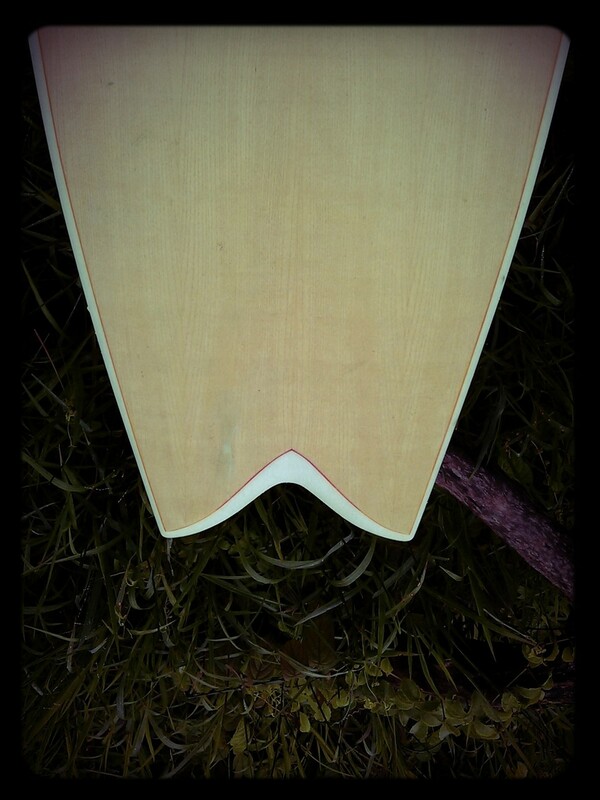 Five fins setup to have options and a lacewood nose. 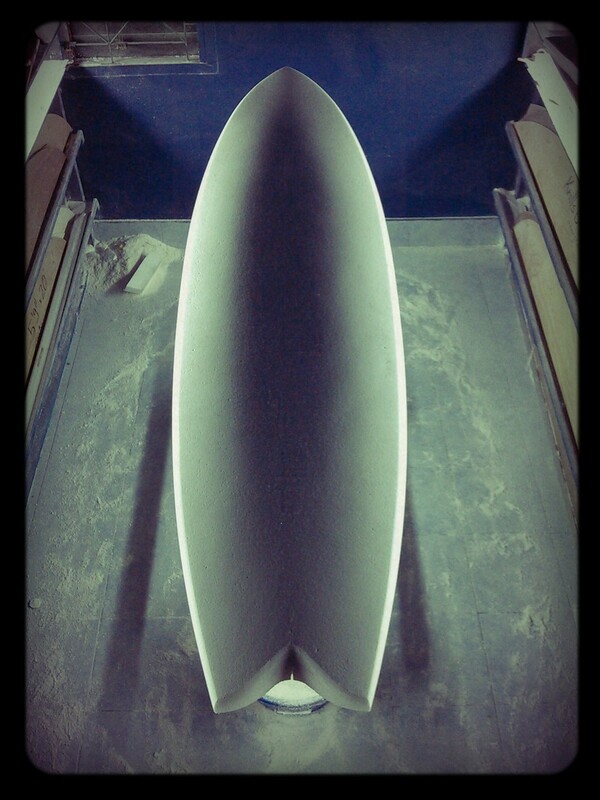 7'3" x 22"½ x 3"